Highest Quality DVD from Victory Studios, Seattle WA. Only $17.95. Includes Recipe Booklet. More Info Here. 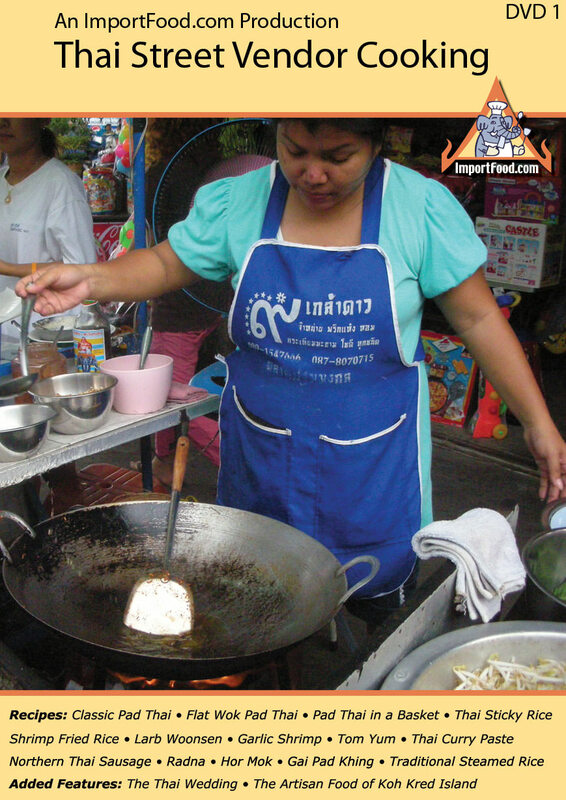 For two years we've presented new, professionally-produced Thai Street Vendor videos at ImportFood.com on a monthly basis. At this point we have over 50 feature videos on our website. Many customers say these videos offer the best instruction on how to cook authentic Thai food, and request that we offer it on DVD. Our Street Vendor Cooking DVD 1 offers 20 of our most popular videos in full picture format so you can watch them on your computer or at home on your big screen tv. Quality is outstanding, and the DVDs are professional grade not cheap reproduction discs from an office supply store. We utilized the state-of-the-art services of Victory Studios in Seattle. 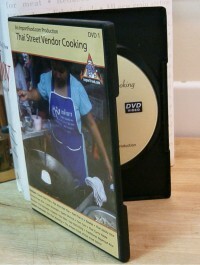 The DVDs are packaged in a standard case, as shown below, with a recipe booklet inside detailing the ingredients and method of each recipe shown in the DVD. 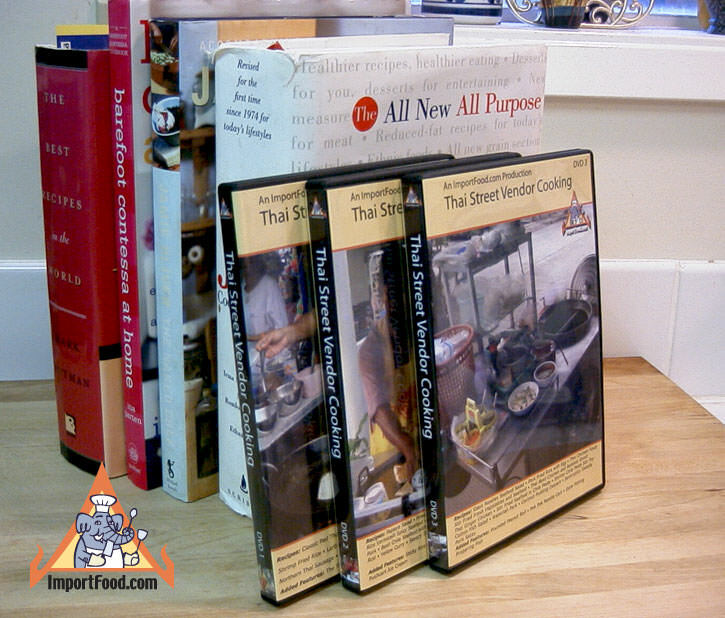 These Thai street vendor DVDs are unlike anything on the market, is an excellent addition to your cookbook collection, and includes a proper introduction with a menu of the following videos. 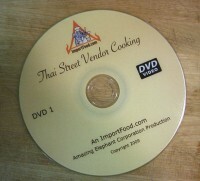 Inside the DVD case is a printed recipe booklet.